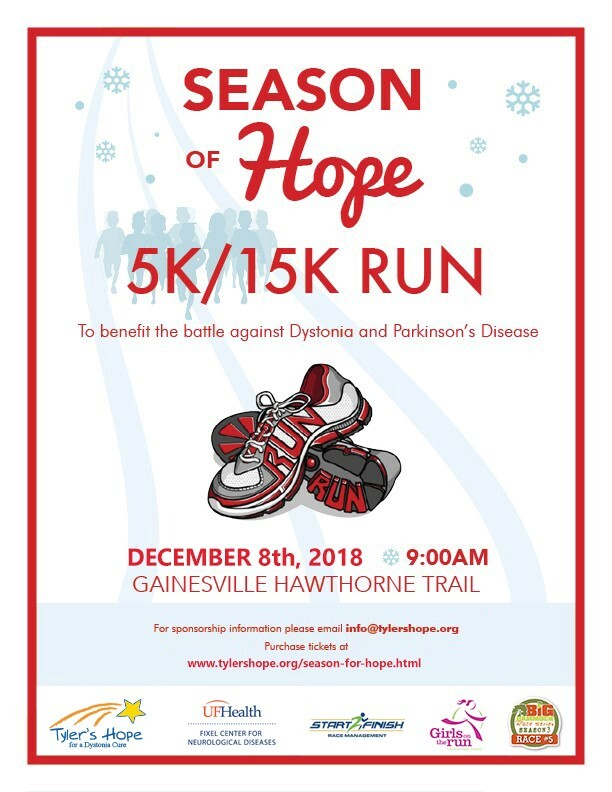 The Season of Hope 5k and 15k Run is coming up on December 8th at the Hawthorne Trail. The run starts at 9AM and registration at the event starts at 7:15 AM. You can register for the run, volunteer, donate, or just learn more at the Tyler’s Hope for a Dystonia Cure website.